Today, many families appreciate individual bathrooms for every bedroom in the residence, plus a guest bath or half-bath. This type of renovation may help update an older property by adding a sense of luxury. In some cases, adding an additional bathroom may increase the interest of prospective buyers in a cabin. Whether the upgrade will yield long term returns may require careful research. If your property resides with a large detached garage, you might consider hiring a contractor to install a guest room over this structure. 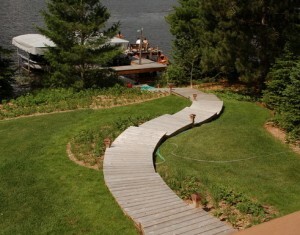 If you’ve contemplated placing your property on the market, this improvement will increase the useable space and value. Of course, this type of renovation sometimes requires a significant investment. You also need to locate a skilled building contractor with experience installing this popular improvement. Updating an older kitchen also appeals to many property owners. Just like other rooms, kitchens benefit from periodic updating. It makes sense to explore popular kitchen styles before undertaking renovations. 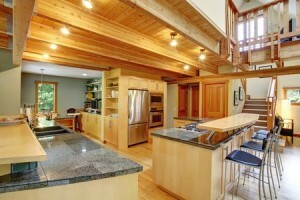 A modern kitchen tends to enhance interest in the cabin among prospective purchasers. Many real estate professionals also urge homeowners considering improving property values to invest in landscaping improvements. Taking this step well in advance of placing a home on the market sometimes yields significant benefits. 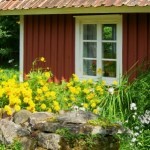 Few items increase the appeal of a property as much as beautifying the front yard and surrounding lawn and garden areas. You may discover that retaining the services of a landscaping firm to help maintain the exterior of your premises in great condition yields long term benefits. Some landscaping companies possess specialized, high-grade yard care equipment. 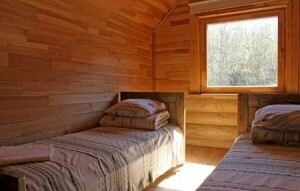 Their skills may enable your cabin to appear lovely throughout the year. Sometimes property purchasers increase the value of a large residence by subdividing it into multiple units. 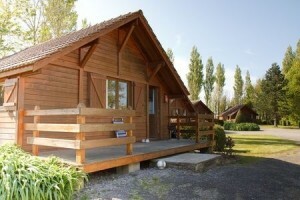 Transforming your property into rental cabins may enable you to obtain multiple streams of revenue, for instance. Prior to making the decision to subdivide a single family property, it remains very important to check local zoning and building codes. Some locales prohibit this type of development. Additionally, you may discover that the project involves considerable expense, because building codes may require setbacks and easements. Some real estate investors do achieve significant improvements in property values by utilizing this strategy. Especially if you own property that will allow for you to subdividing it into a number of individual units may offer substantial financial returns. The key to ascertaining whether or not a particular residential improvement will boost your property value usually lies in careful research. Real estate market conditions vary widely from one location to another even within the same community sometimes. 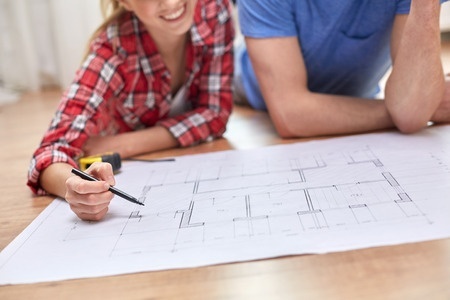 By discussing your proposed renovations with a professional appraiser in advance of taking action, you may gain a better idea of whether or not a particular project will offer a great return on investment in your specific situation.